"The four major asteroids and Chiron fill out the chart exploring aspects of spirituality and empowerment in the realm of the feminine in the chart." Would you like to know more about your capacity to nurture, marital relationships, problem solving skills, sexuality and healing power? Our Asteroid Report gives interpretations of the four major asteroids (Ceres, Juno, Vesta, and Pallas Athena) and Chiron, which can shed light on these important areas of human experience. These bodies can give further insight into your personalitie and how you interact with the rest of the world. This report talks about the symbolic meaning of asteroids and also how they operate in the birth horoscope. Ceres: Shows your capacity to nurture and what you really care about. Juno: Clarifies how you deal with committed personal relationships. Vesta: Can give your keys to how you express your sexuality. 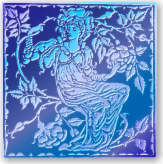 Pallas Athena: Shows your approach to solving problems creatively. Chiron: Gives clues to where you can be a mentor or a healer. Win*Writer Express Home Complete PDF Sample Report Professional or Express? These programs offer user-defined settings that allow you to tailor reports according to your own personal taste and preference; batch processing is available, add contact information and much more – the choice is yours! These reports give you the same precise astrological calculation and in-depth interpretation as is found in the Professional software; they do not, however, offer the user-defined options available in those more advanced report-writers. The Asteroids Report Advanced Natal professional report software. Part of the WinWriter collection: Advanced Natal Report software The Asteroids Repor. The Asteroids Report create beautifully formatted reports, ready to deliver or e-mail to your customer or client!